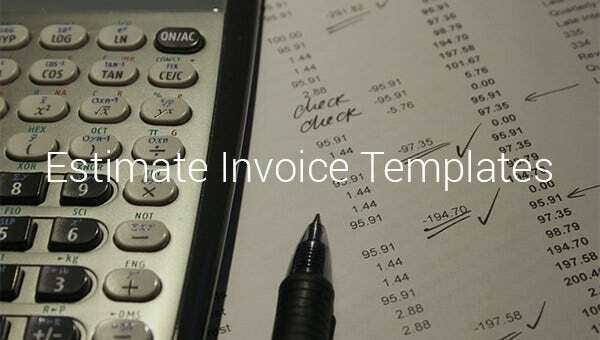 6+ Estimate Invoice Templates – Free Sample, Example, Format Download! 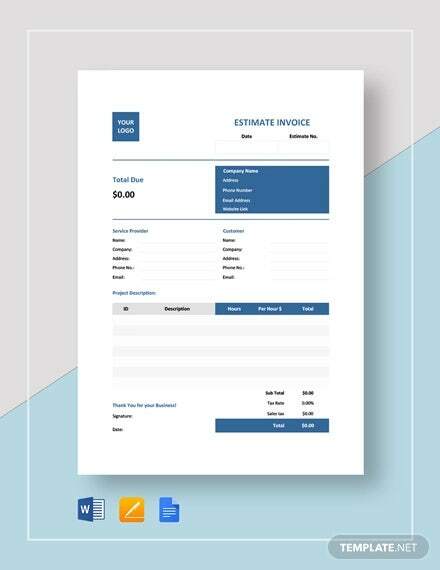 This invoicing and quote estimate template begins with information on customer, payment terms, information, postage and description. Then, it is followed by description of items. It can include up to 5 items. 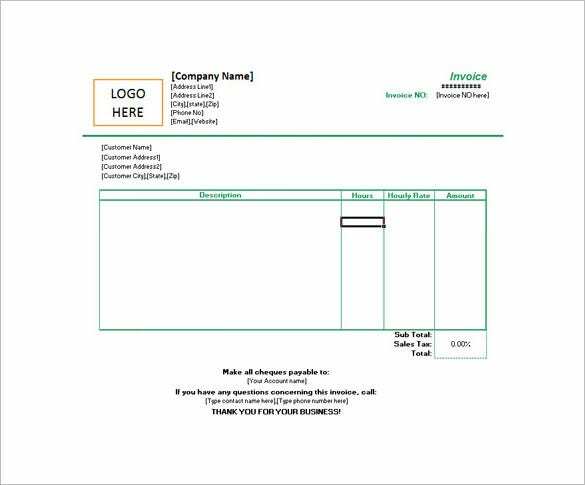 This invoice estimate begins with logo and details of your company with invoice details on the right. Then, you have detailed information on the customer. It is further followed by a table on job description. 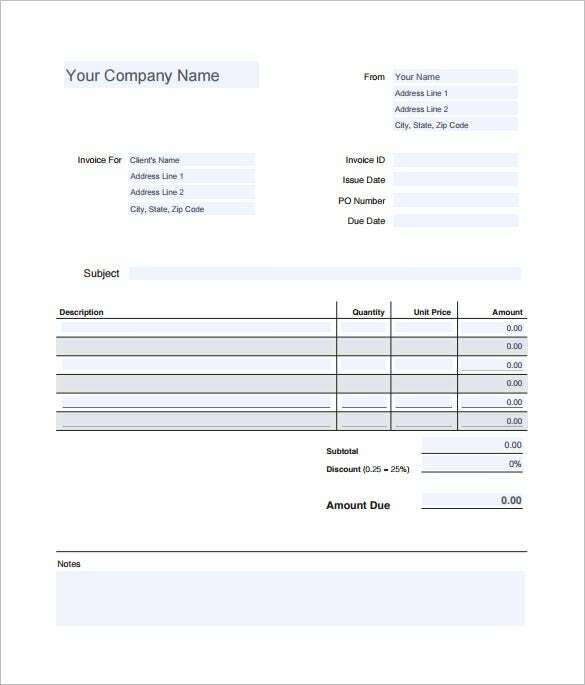 This basic service invoice estimate template begins with information on your company at the right. Then, you have details on the customer and invoice. The third section is for notes and the last one is on work description. 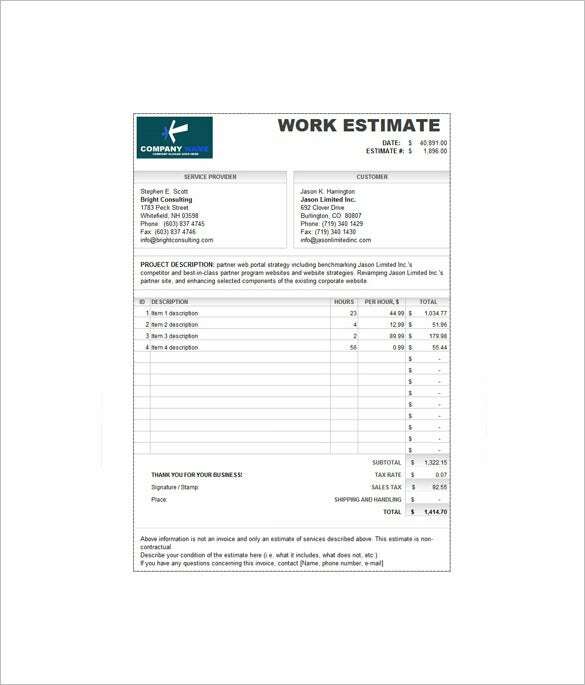 This work estimate invoice template begins with your company logo on the left followed by details on service provider and customer. There is another section on project description, followed by work description, hours, per hour dollar & total. 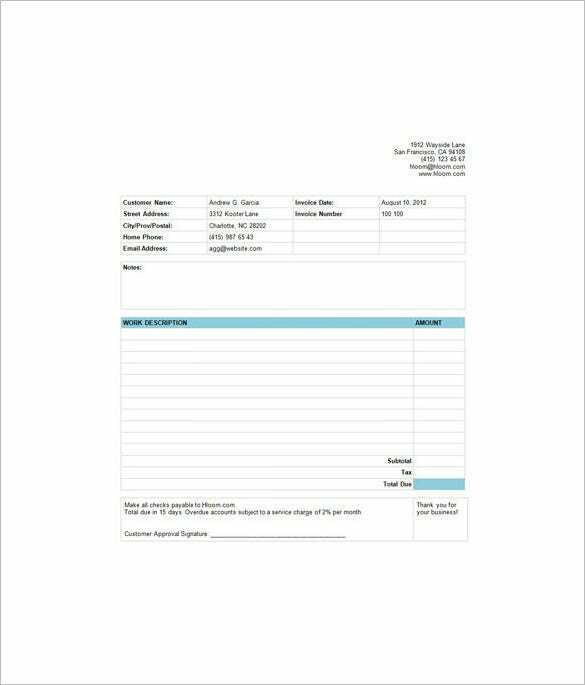 This business invoice template begins with information on your company at the top, succeeded by details on the customer and invoice. Then, you have a separate table on work description, price, quantity & total. 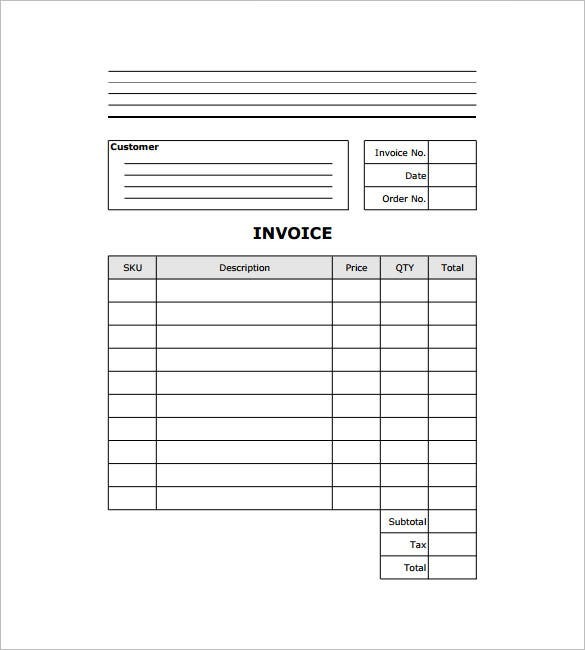 This blank invoice estimate template starts with the name of your company on the left and your name & contact details on the right. Then, you have details on the customer and invoice. These are followed by a field on subject and then a table on work description. 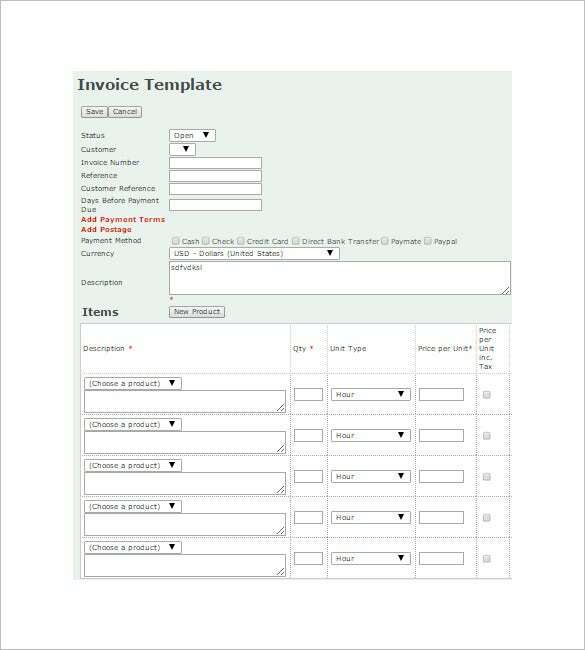 The estimation of price document can be found in the website as sample through invoice sample. These are affordable and cost saving for utilizing it. These samples are typically seen after downloading the template application which anyone can customize and fill out the details for your own business use. If you have any DMCA issues on this post, please contact us!